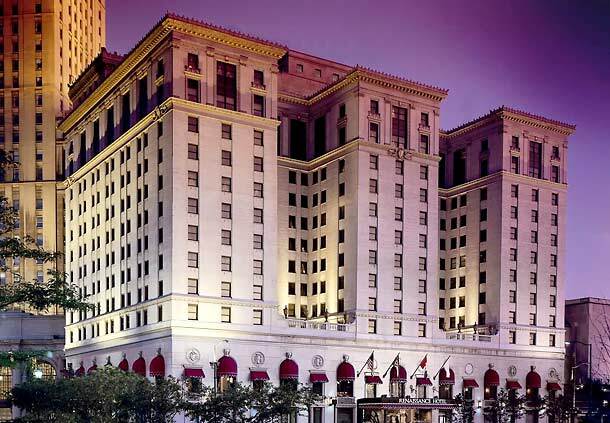 Originally built in 1918, the Renaissance Cleveland Hotel is a local landmark. Stylish and sophisticated with architecture that reflects the area’s unique style and rich history, the hotel is ideally located in Downtown Cleveland near Public Square and connected to Tower City Center the hub of Downtown Cleveland’s nightlife and attractions featuring an array of boutiques, restaurants, and a movie theater. Catch a Cleveland Cavaliers game at the Q (Quicken Loans Arena) or see the Cleveland Indians at Progressive Field, both are a short walk away. Plus, Jack Cleveland Casino is connected to the Downtown Cleveland hotel via Tower City. Experience the best of Downtown Cleveland while staying in modern rooms with upscale amenities and elegant decor. 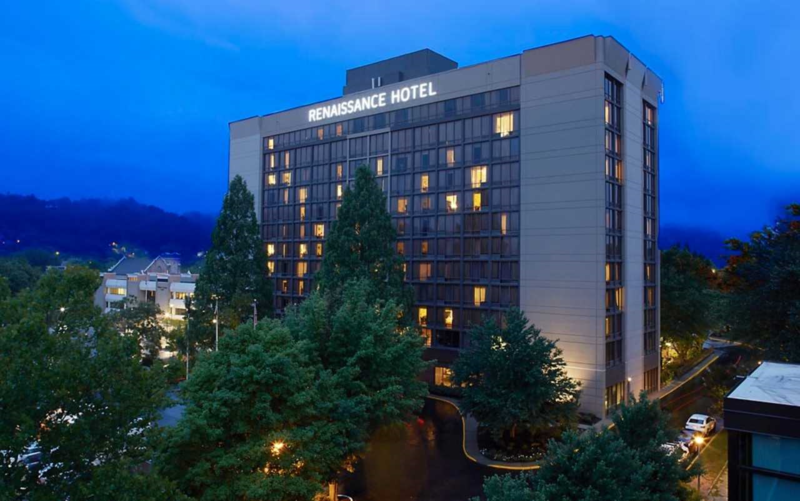 Elevated in every way, the Renaissance Cleveland Hotel features vaulted ceilings, high-arched windows, a stunning marble fountain, and a magnificent Grand Ballroom that’s the perfect stage for conventions, corporate meetings, and wedding receptions. NACDEP has negotiated a special rate of $159 for the conference. Reservations for the conference can be made by attendees directly with Marriott reservations at 1 (800) 468-3571 or (216) 696-5600, Don't forget to mention the NACDEP Conference. Book Online Today - Please note that our room block is full for Wednesday June 13th there are still rooms available from June 8th through June 12th you may have to modify your dates when using the online platform. The Renaissance Cleveland Hotel (downtown) is an easy (and inexpensive) light rail ride on the RTA Red Line from the Cleveland Hopkins International Airport. There are train stops at the airport and at Tower City Center (the conference hotel is connected to Tower City Center). Click here to see the route map. Renaissance Parking Lot is adjoining the hotel. For GPS driving directions, use this address: 271 West Superior Ave, Cleveland, OH 44113. Hotel valet rates are $36 per day. Self-parking rates range from $10/day across the street to $30/day in the hotel’s garage.